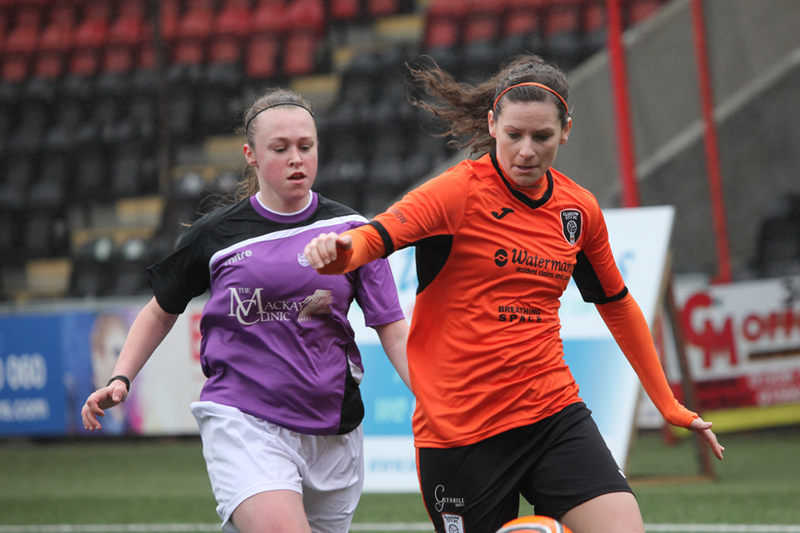 Glasgow City player Lauren McMurchie departs the club on Sunday, for what we are officially referring to as a sabbatical and not the end of her playing days at Glasgow City. Lauren is off to the United Arab Emirates for an exciting two year employment post and we wish her the best of luck in her new adventures as well as eagerly awaiting her return in 24 months. Players come and go in football, that is the nature of it and we rarely put pen to paper or fingers to keyboard as it is these days to write about it, but this sabbatical cannot go unstated for so many reasons. Our club is 20 years old this summer, a club I started with my good friend and co-volunteer owner/club running manager or whatever you want to call us, Carol Anne Stewart. Over 150 players have played for our first team during this time, but only a handful would match that of our feeling and gratitude towards Lauren McMurchie. Lauren has been with City for ten years. She has won every single domestic trophy multiple times over as our club has enjoyed tremendous success during her time on the pitch. She comes from an elite group who progressed to our first team at the same time. Very few teams could ever match a crop of youngsters that saw Lee Alexander, Lisa Evans, Emma Mitchell and Lauren McMurchie all progress from our Academy to the first team in the same year. Lee, Lisa and Emma are all now Scotland A internationals. I am sure all would not mind me saying that back in the day, Lauren was the best of the bunch. Lauren McMurchie was one of the most talented young midfielders ever to grace our club. A player mature beyond her years, she was so calm and composed and saw passes and the progression of play ahead of all of her team mates. It was therefore no surprise that Lauren ahead of everyone else in that group made it to our European squad in 2008. Not only did Lauren make that squad but she ousted regular first team players to take a starting place against European Champions at the time, FFC Frankfurt, in a last 16 game of Europe’s top competition. Lauren had an excellent game that day, as was the norm for her week in and week out. In her time at Glasgow City, Lauren has gone through three cruciate ligament surgeries. One can be enough to deter a young player from coming back and playing at the top, but to have three and to have continued to be a constant for our club, is nothing short of remarkable. Her loyalty, dedication to the game and self motivation to get herself back to the highest level is astounding. She has what all true Glasgow City greats have. She has the will to win, the will to push herself and her team mates to the highest possible standard, at all times, every day of the week, in season and pre-season. She understands our club, she epitomises it and it is therefore not surprising that since Lauren has made the first team, we have won every single league title on offer. She also has had that incredible knack of scoring a vital goal or two, which as a defender these days for our club, comes about due to her calmness and technical ability in the box, when so many lose their composure. Lauren is an inspiration to all of our Academy players. If you work hard, believe in yourself and come back stronger, even from the toughest challenges, you can influence the lives of so many. Lauren probably doesn’t believe she has influenced lives, but she has influenced every single team mate and every single follower of our club. She has certainly influenced myself and Carol Anne and makes us incredibly proud to have enjoyed a player like Lauren at Glasgow City. Lauren – Enjoy your time away, and we look forward to your return and pulling on the famous orange and black once again.